A stunning facade and alluring presence, tucked away in a quiet court in the well sought after location of Waurn Ponds. This exceptional home offers elegance, quality and a carefree lifestyle on a spacious yet low maintenance block of 677sqm approx. Designed for the single-level ease so highly-sought by downsizers, young professionals and families alike, this property is an impeccable place to call home. Well maintained, there is plenty of room to accommodate the growing family. 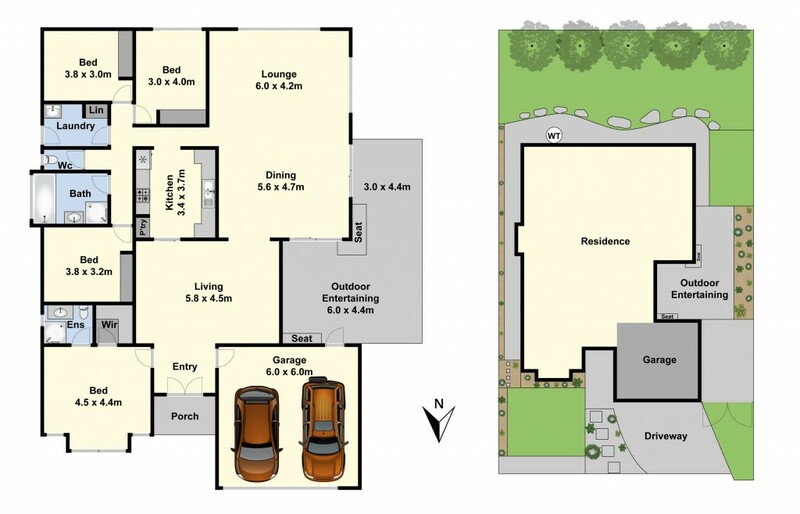 With 4 generous sized bedrooms, master with ensuite & WIR, the other three bedrooms have BIR's. With 3 living zones, there's plenty of space for the family to spread out and enjoy the space. Featuring a generous kitchen with s/s appliances, wide entrance hallway & a spacious main bathroom. Climate can be controlled all year round with central heating and a split system. Outside there is a double garage with internal access, room for the trailer to the side of the home & alfresco area leading off the main living area. Located close to Deakin University, Train Station, Bus stops, Waurn Ponds, and easy access to the Geelong Ring Road to take you down to the Great Ocean Road, Geelong CBD and also Melbourne.